A good night’s sleep can make an immense impact on a person’s daily activities. Sleep is vital to the human body as the body gets to recharge and refresh itself. Choosing the right type of bed is necessary to ensure sound sleep. 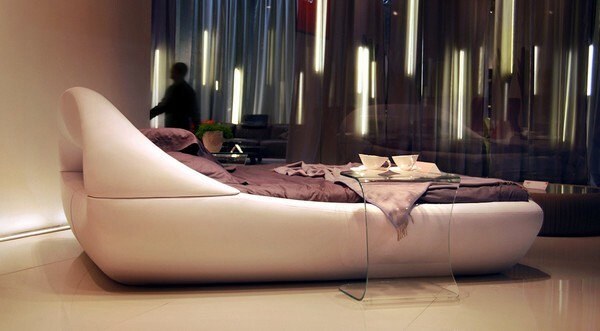 Italian designer Angelo Tomaiuolo has designed an organic bed called “Sleepy” that offers a great degree of comfort. The furniture is produced by Tonin Casa Company. The bed’s design is sleek and modern, at first glance is looks as though it’s made for a futuristic science-fiction movie. Its enormous size is best suited for huge bedrooms. 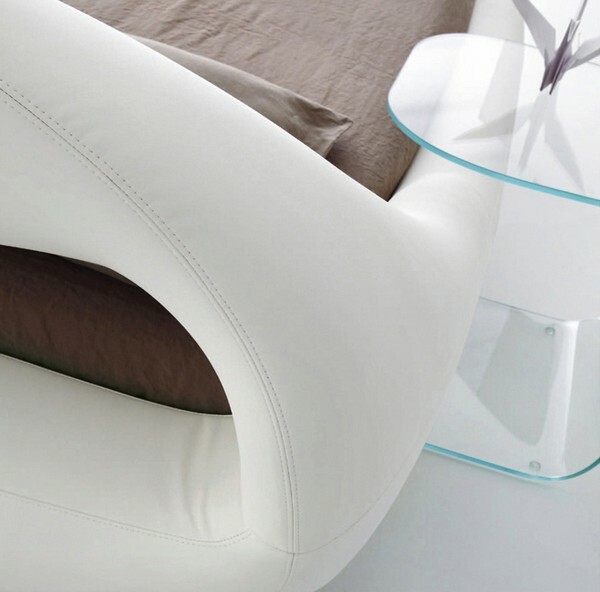 The original design of the “Sleepy” is made for a peaceful sleep as if one is engulfed in a cocoon. It is available in white and a delicious creamy tone which will perfectly blend with any bedroom design. “Sleepy” comes upholstered with fabric that or eco-leather. Along with the bed there is a sleek and simplistic glass bedside table, designed to aptly enhance the features of the bed. The headboard of the bed is unique and cushiony which gives the bed a shell like appearance and makes it comfortable for seating and reading. ‘Sleepy’ can be suitably paired with any type of bedroom design and living space. It can be decorated with different types of fabrics. The swankiest look would be to pair it up with faux fur and soft satin fabrics. This bed will provide great comfort to people who are highly tensed, stressed or overworked. Its new technology will help many achieve a sound night’s sleep within a matter of minutes.